Discussion in 'Computer Audio' started by gordec, Aug 21, 2018. Anyone experiences stuttering whenever playing USB audio? I have an Alienware Aurora R7 with i5, 16GB ram, but whenever I listen to any DAC connected to USB, there will be intermittent stutter and hanging. This happens no matter what software I use, Jriver, Roon, Audivarna or playing Youtube in the browser. Funny thing is that on my Surface Pro 3, audio never stutters. 1. Disable all other audio device drivers, Nvidia audio driver, etc. Have you tried using ASIO or WASAPI to take the windows media stack out of the equation? Or a different USB cable in case there is a physical issue with the cable or connector? Not an “audiophile” cable, just a different one. It’s also worth trying a different USB port on your computer if you haven’t done that yet. - first, does the same thing happen if you use the integrated soundcard? try and see if the issue is with USB and external DACs or with audio in general. - do those lags happen more when playing higher resolution files? what happens if you change the output resolution for the DAC? how often are we talking about for the lags? every 30seconds, once or twice per hour? less? - try something like VLC, that stuff is a survivor and can usually play anything even on a computer full of viruses and weird settings. - as suggested by @bfreedma trying other audio paths than the default Win mixer to see if it changes anything in an obvious way. if the DAC has an ASIO driver, once installed it should show up on some audio player options as a choice of output. otherwise try Wasapi without and without exclusive mode. - what is going on with your CPU when you play music and when you get those audio lags? - of course if it seems to be USB related, try different ports(front and back), some of my gears seem to be allergic to USB3.1 somehow. 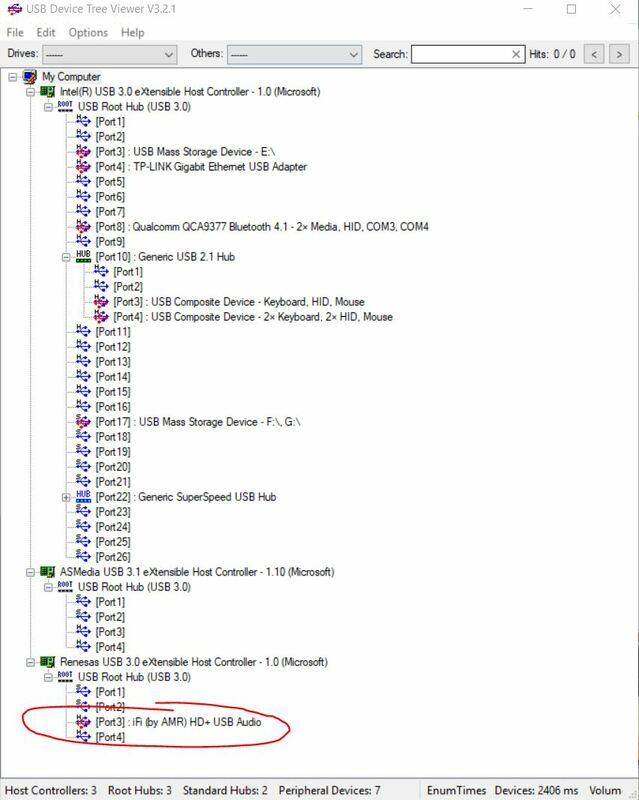 maybe try to update/re-install the various USB drivers for the motherboard or other USB card in the PC. - do you find similar feedback on the web about the specific DAC you're using? for example Win10 has been annoying for a handful of devices. - is the computer coming with some fancy gaming options changing everything to gain half a FPS? What is freely asserted is freely dismissed. -They say "jump", you say "how high?" -When you believe in things that you don't understand, then you suffer. Superstition ain't the way. 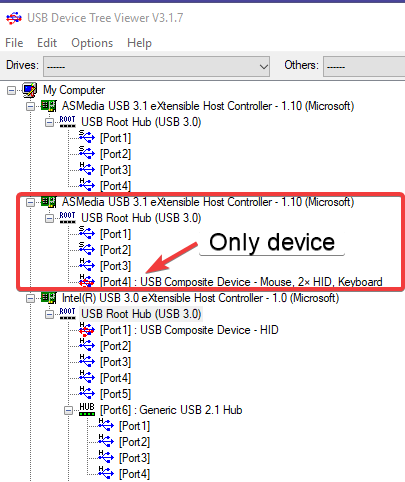 I can also see that two oterh USB devices are attached to the same USB device hub (sharing bandwidth, IRQ and memory I/O resources), namely : "USB Composite Device Mouse, 2 x HID, Keyboard" (= VID_046D&PID_C07D = Logitech G502) and "USB Composite Device - HD Pro WebCam C920" (= VID_046D&PID_082D = Logitech C920 Webcam). 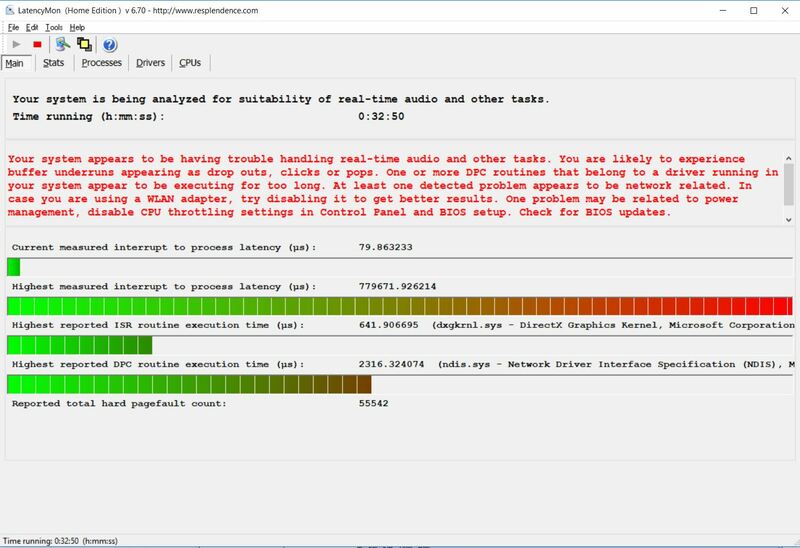 ... to be continued (later more information on latency monitoring and tuning). Often disabling other devices and their drivers helps. And as stated, turning of all sleep options in power plan (power settings) and selecting the High Performance Plan. 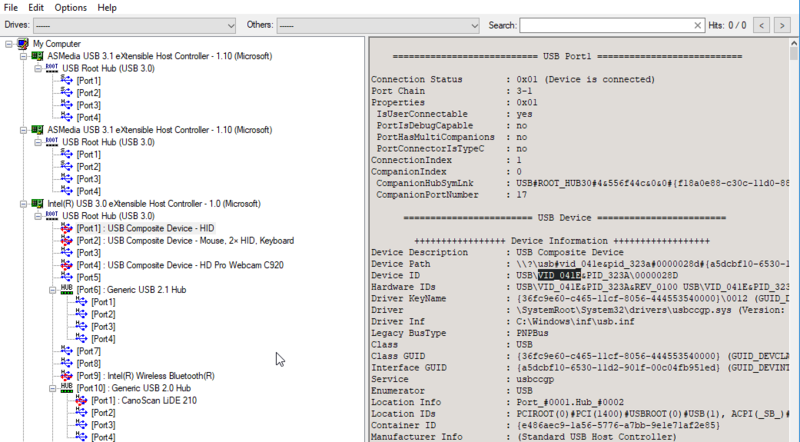 Also, making sure that the USB Hub you have has it's drivers updated (Microsoft drivers usually work best, if not, try manufacturer specific). Looks like the Paul Pang Card is not sharing resource with anything else. The Latency Monitor does report dxgkrnl.sys is giving high spikes, but I understand this is a generic error. I tried turning disabling wifi. The latency is still high. I'll keep playing around with this. Thx! -Furman linear PS 215A> iMac 5k roon> Audioquest Diamond USB> HPA8> LA900. -iPhone XS MAX 512 GIG> Hugo> DHC V3 Type 4 litz 8 braid> Encore.